Mam (pronounced Mum) is an excellent restaurant worthy of going to time and time again. 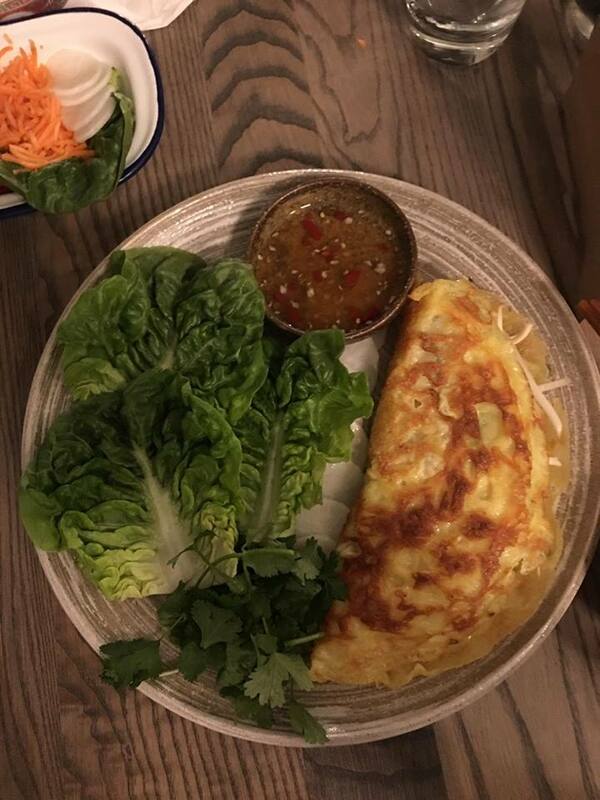 Located in All Saints road the restaurant focuses on delivering fresh, tantalising Vietnamese cuisine whilst encouraging everyone to get stuck in. It’s casual, cool as f***, enjoyable but more importantly the food is seriously good. 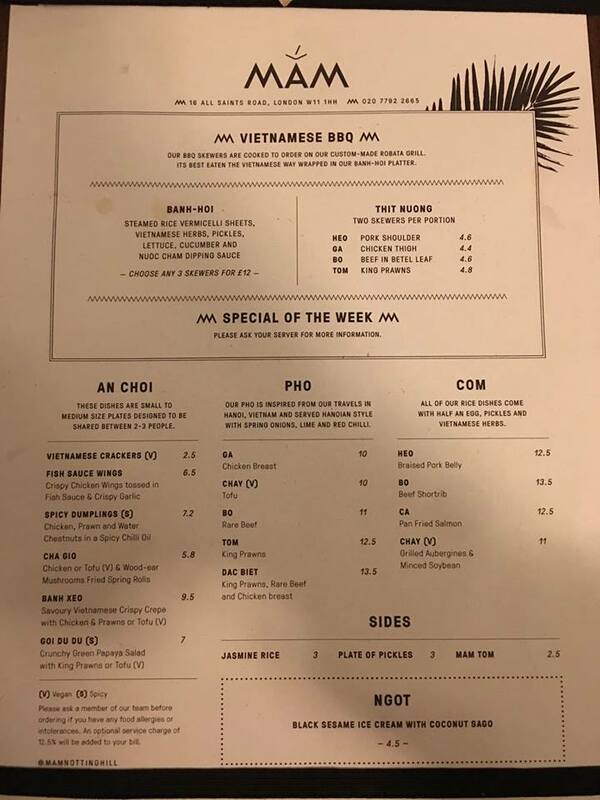 Mam showcases it’s Vietnamese food with a variety of dishes from classic phos and rice bowls. 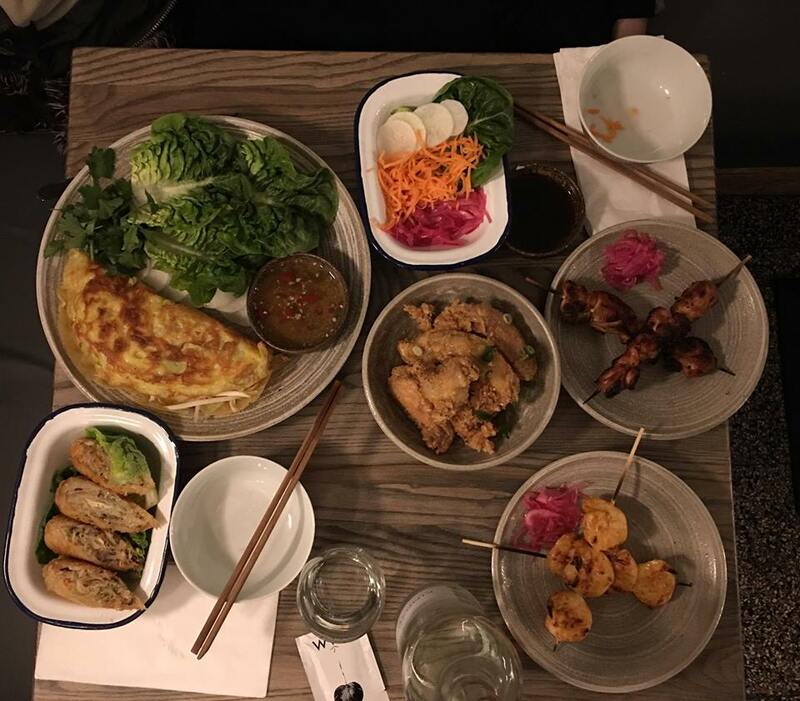 However it’s all about the Vietnamese BBQ and sharing plates. This is where Mam really comes alive with the food they produce. 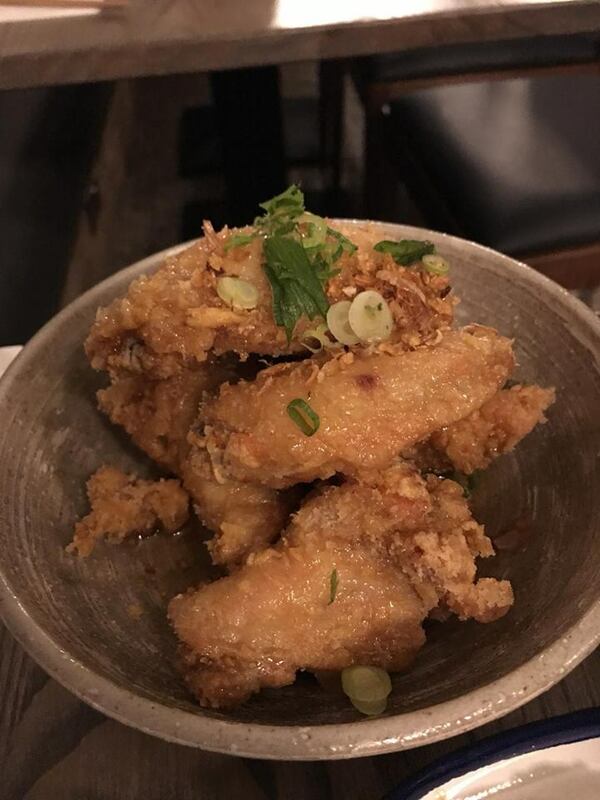 Starting with the chicken, these finger lickin’ wings are without a doubt the best thing since sliced bread. With a sweet and crispy coating, they are tossed in fish sauce which just gives them that added zip. The meat is succulent and it doesn’t matter who’s around, just gnaw away at the bones. I certainly did and if I lived locally I would have ordered a bucket load of them to take home. Please Mam keep the wings on the menu permanently. 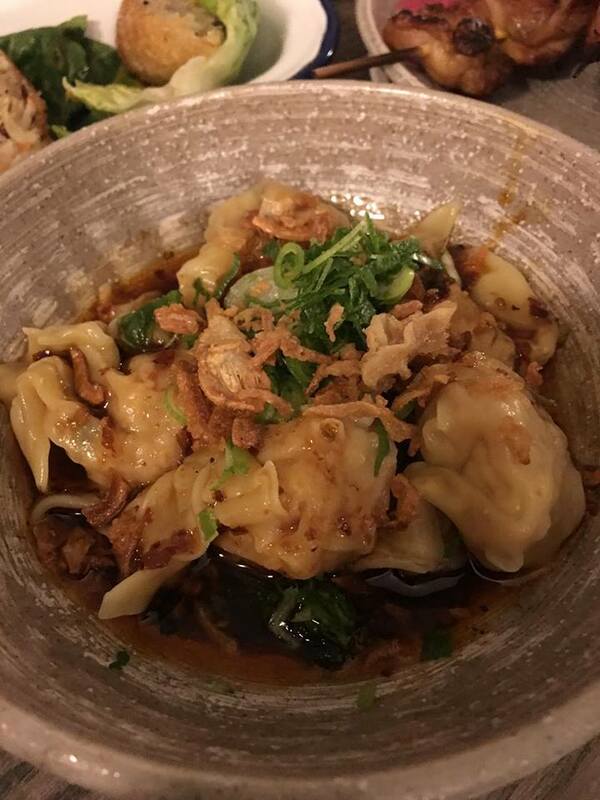 Other highlights include the Cha Gio, extra crispy spring rolls filled with earthy mushrooms and soft tofu- best eaten with Mam’s delicious dip- and the spicy dumplings containing a mixture of chicken, prawns and water chestnut. They certainly pack a punch. 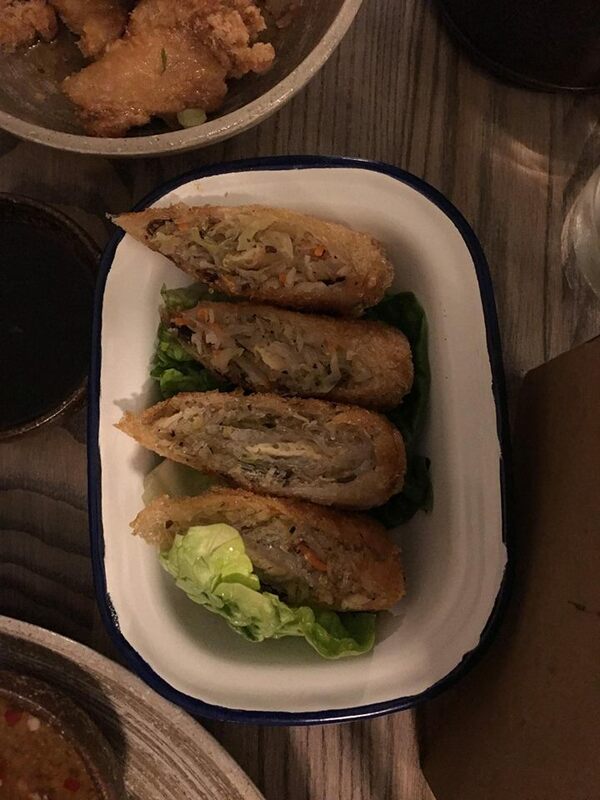 Mam’s Banh Xeo is a crispy crepe crammed full of chicken, prawns and beansprouts. 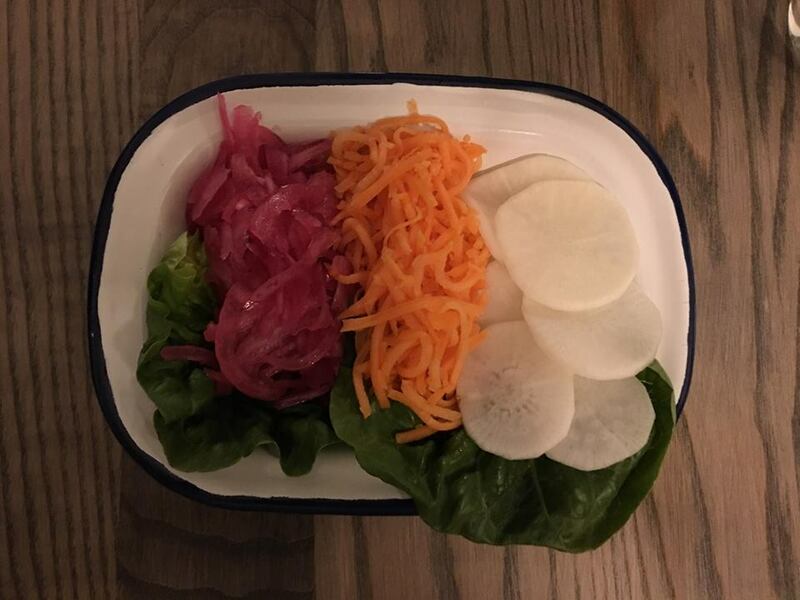 The best way to eat it is to rip it apart, wrap it around a piece of lettuce, dunk it in as much dip as possible and wolf it down. 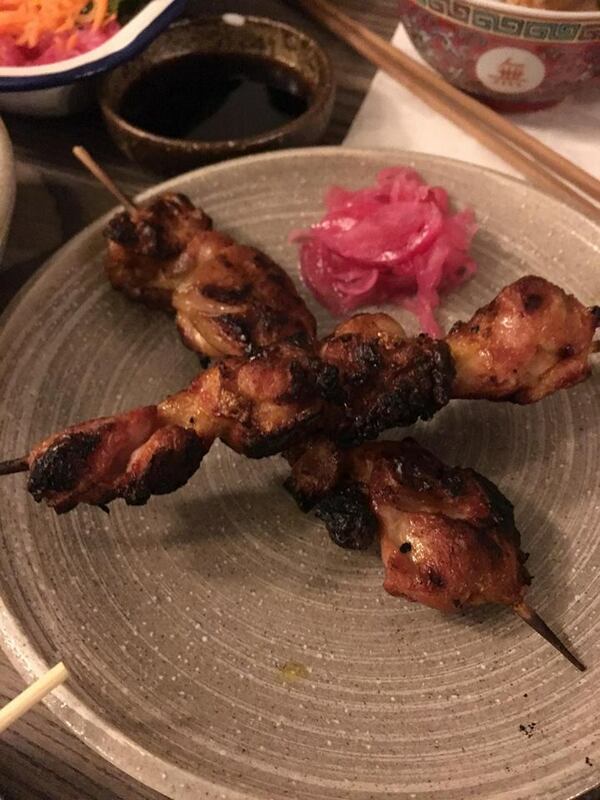 The restaurant’s custom-made robata grill is also put to excellent use. 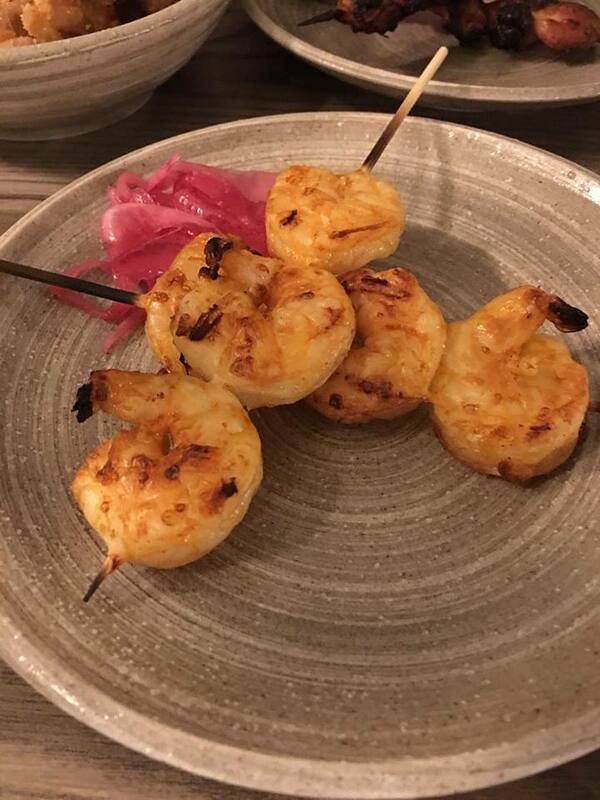 The pork shoulder and king prawn skewers deservedly get a good grilling and its goes ever so well with the homemade dipping sauce made from shrimp paste, chilli and pineapple. Mam shows off Vietnamese food in fine fashion. They’re an enthusiastic bunch and the team really do bring big Asian flavours that hit you in the face. For an average of £50 between two people, you’re onto a winner, Wam bam thank you Mam.